Guanacos look similar to domesticated Llamas but are larger, with dense woolly fur that is dark-brown and paler underneath. There is strong evidence that the Guanacos of the Central Andes were the original source for the modern domesticated Llama. Like camels, guanacos can survive for long periods without drinking. Grass makes up their main diet although they also browse from trees.They live in family units with their young, which are particularly vulnerable to pumas. Typically, during the breeding season, one adult male will defend a territory for a number of females and young. Males without a territory may form all-male groups. In mountainous regions of the Guanaco’s range, populations will migrate over long distances to feed at lower altitudes in winter. In other areas, groups are sedentary, roaming over just a few kilometres. They live in dry regions such as open grassland and arid shrub land, subject to sub-zero temperatures, snowfall and high winds. Found in the southern part of South America, from Peru and Bolivia in the north to Chile in the south, the most extensive surviving populations occur in Argentina. 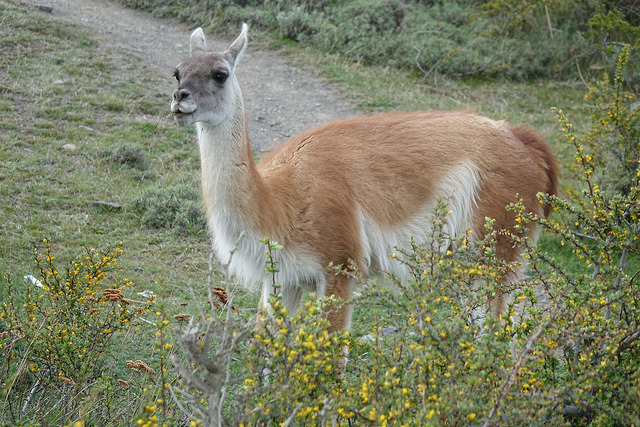 Habitat degradation due to overgrazing and competition with introduced herbivores are the main threats to Guanaco, alongside hunting in many areas including Peru and Bolivia. 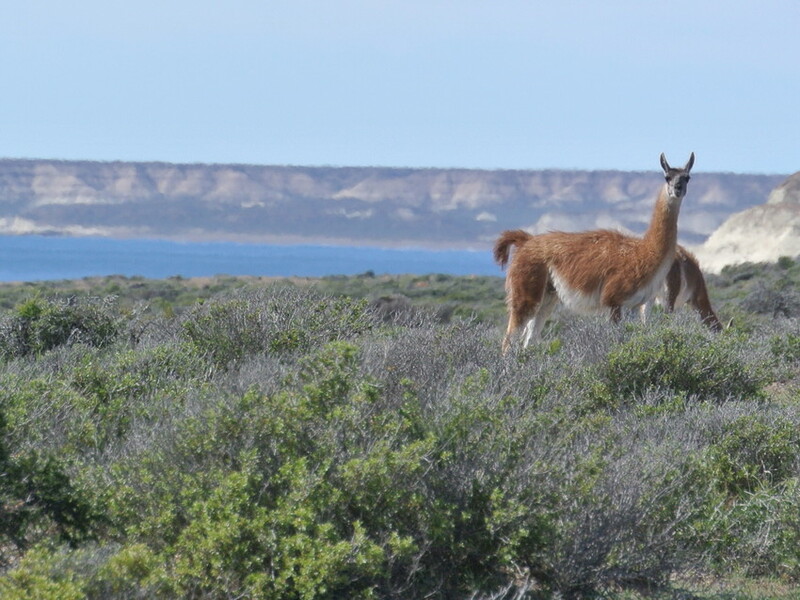 In the northern part of the Guanaco’s range, numbers have fallen dangerously low. However, although many populations have been reduced drastically or isolated by habitat loss and fencing, total numbers are still estimated as high as two million, and the species is listed as Least Concern by IUCN.